Northern Ireland has the advantage of integrated health and social care, and the definition has therefore been extended to health and social care. This definition includes all aspects of technology and information management, including remote telecommunications to support patients and clients. 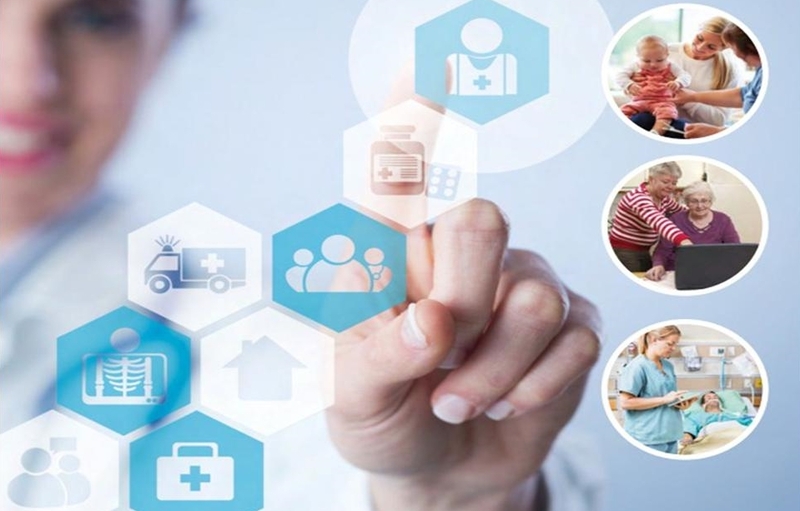 The eHealth and Care Strategy published on the Department of Health website, sets out a vision of what can be achieved in Northern Ireland by maximising innovative technologies in the delivery of health and social care. It includes a range of measures for the increased use of digital technologies to support the delivery of health and care services between now and 2020. The development of the e-Health and Care Strategy was led by the Health and Social Care Board (HSCB) and Public Health Agency (PHA) and developed in partnership with a wide range of stakeholders including; the public, patients and their carers, community and voluntary groups, Health and Social Care staff, the independent sector, MLAs, MPs and local Councillors, professional representative bodies, Trade Unions and Councils. The draft Strategy was issued for consultation by the HSCB between October 2014 and January 2015 and launched by the Minister of Health on 3 March, 2106. The HSCB gave careful consideration to the responses, which helped to shape the final strategy document. The NI Electronic Care Record (NIECR) makes a patient’s care information available to their care professional electronically, for safer, faster, better care. a web portal to help people self-care and give them access to their own personal health records. Provides accurate, up-to-date and complete information about patients at every point of care. Increases the time that doctors, nurses, therapists and social workers have to spend with patients. A 15-minute increase in care time by reducing bureaucracy equates to over 1,000 additional care professionals. Can reduce treatment and discharge delays in hospital, and contribute significantly to reducing length of stay. Enables safer and more reliable prescribing of medication. Allows the use of health analytics to improve health and care planning. Helps our Health and Social Care system to become ‘paperless’.